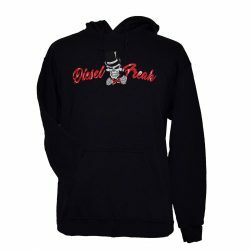 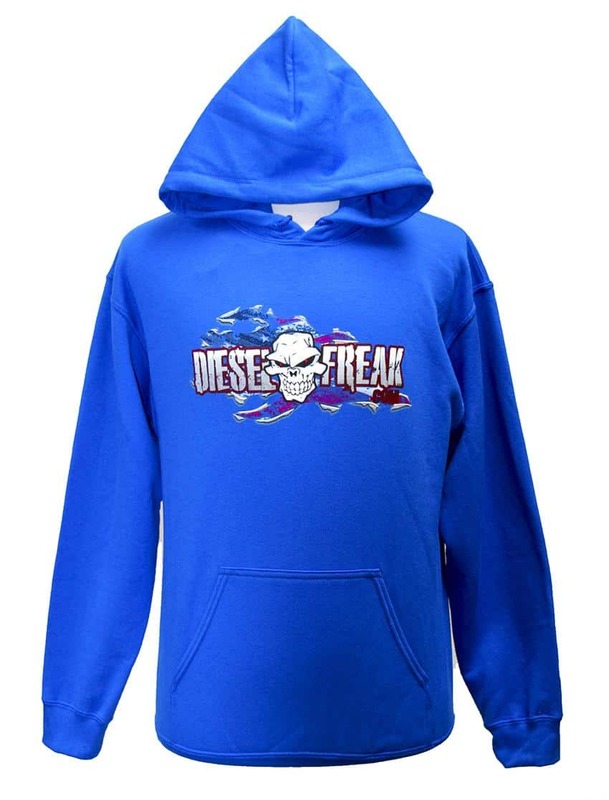 This hoodie features our ripped “Diesel Freak” logo with the American Flag showing through the rip. 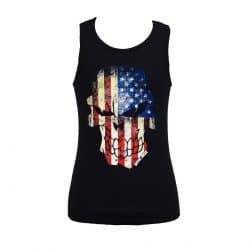 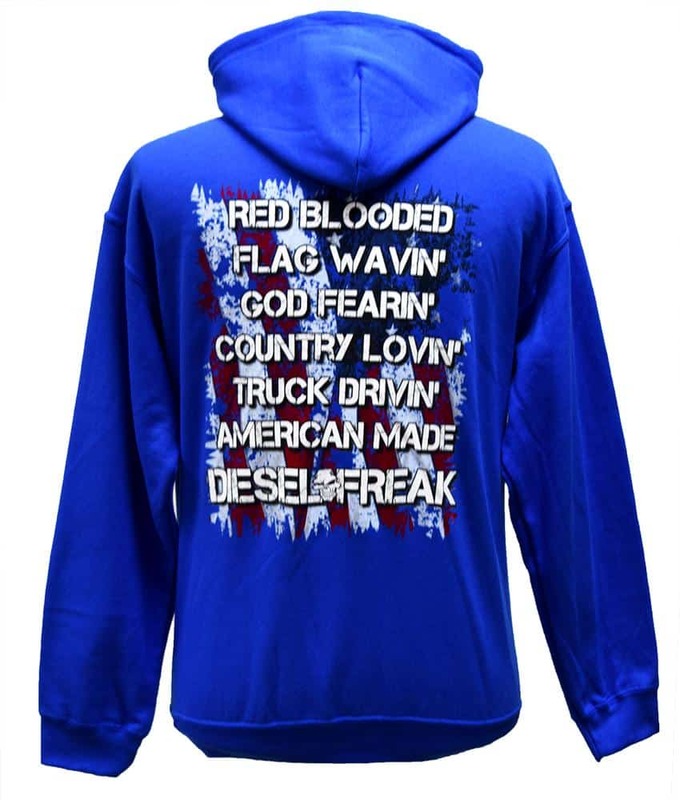 The back features the saying “Red Blooded Flag Wavin’ God Fearin’ Country Lovin’ Truck Drivin’ American Made Diesel Freak” over an American Flag. 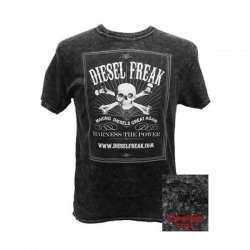 This product uses a 50% cotton and 50% polyester blend.